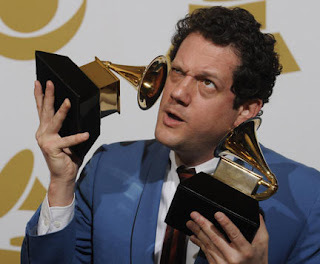 Whether you hate them or love them, Michael Giacchino’s albums have had some great track titles. There are tons of puns and wordplay on characters and scenes. Giacchino said they started on Alias with music editor Stephen Davis and assistant Alex Levy passing time and having fun. There have been some I've enjoyed over the years, so here’s a list of some favorites. My favourite is his "Dash" series. 100 Mile Dash (The Incredibles), 100 Rat Dash (Ratatouille), and Three Dog Dash (UP). I was expecting "100 Car Dash" in Cars 2, but I guess he forgot.